The NMX-WP-N2410 allows multiple real-time UHD streams to be displayed on a single stream simultaneously. This is a fundamental shift in the way professional AV technologies have traditionally addressed windowing, but one that increases capability and flexibility while reducing installation and support costs. 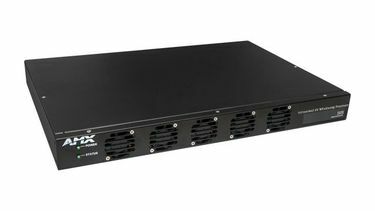 With the NMX-WP-N2410, users can combine up to four HD sources together into a single 4K image, as well as mix 4K and HD sources in any configuration. 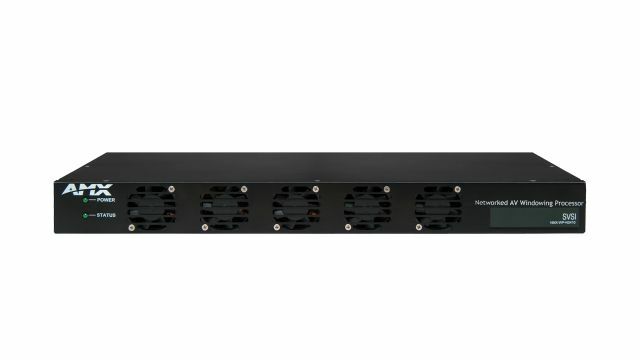 The N2400 Series Windowing Processor is a 1RU rack-mount 4x1 windowing appliance that connects to an N2400 Series Video over IP network and accepts up to four video streams from AMX N2400 Series encoders. Each input can be cropped, scaled, and positioned according to stored presets (such as quad, window-in-window, 3+1, etc.) or in any user-defined configuration. The combined output video stream is then streamed to one or more N2400 Series Decoders at resolutions up to 4K60 4:4:4. Multiple 4×1 windowing processors can be stacked to give 7×1, 10×1, 13×1, 16×1, or higher capability. Video Input Resolutions Minimum resolution of 640x480p; Maximum horizontal resolution of 4096 or a vertical resolution of 2160; See Data Sheet for details. Front Panel Components Reset button, Power LED, Status LED, Diagnostic LEDs. See Data Sheet for details. 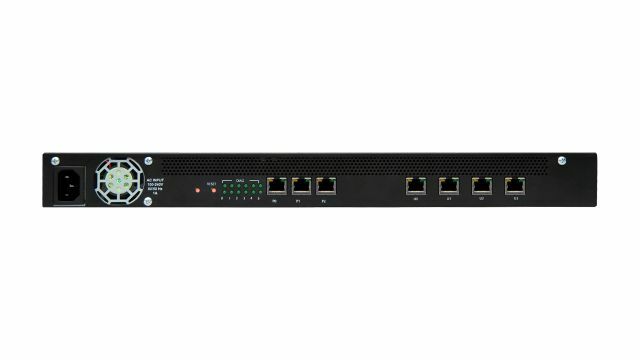 Rear Panel Components One 120 Volt AC power input, 8-wire RJ45 female, 10/100/1000 Mbps 10/100/1000Base-T auto-sensing gigabit Ethernet switch port, 1000 Mbps 1000Base-T gigabit Ethernet switch ports. See Data Sheet for details.